Here for sale at Leigh Cars Ltd we have a wonderful example of a limited edition Nissan Juke Shiro Automatic. One of only 3 Shiro Automatics currently available in the whole country on Autotrader. The Shiro limited edition model comes with a top specification including full leather, heated seats, rear parking camera, sat nav, diamond cut alloys + much much more. This particular example has had 1 owner from new and comes with an impressive full service history. A brand new advisory free MOT with 2 brand new tyres has just been done as part of our preparation standards - MOT expiry February 2020. All 4 diamond cut alloys have been professionally refurbished as part of our preparation standards and look as good as they did when it rolled off the production line! 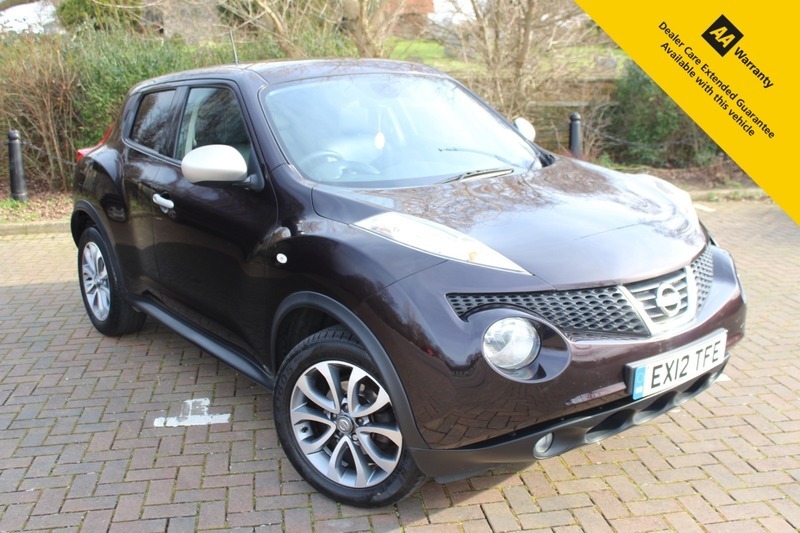 If you are looking for a Nissan Juke Automatic, you will not find one with a better spec and better condition than this. Road tax is only £155 per year and fuel economy of 44.8mpg so is still economical to run for a petrol auto SUV. This car really does impress and turn heads.